Here's just some notes I gleaned from news reports. Not in the right state of mind to proofread, so apologies in advance if some things come off as a bit odd. Momo: 'I, Tsugunaga Momoko' will graduate next year on the 30th of June. The 30th of June is the day I passed the Hello! Project auditions and became an idol. I'll be celebrating my 15th year as an idol, so it's a big decision. I've had an interest in studying child education, so I hope to do that someday. As her motto is 'For an idol, better to have a smile than a tear-stained face', she didn't cry at the press con. When Momo contacted Tsunku♂ about graduating, he jokingly asked if she was having a dispute with the office. What she'd personally like to do in these remaining 8 months. She'd told the members about her intention to graduate two weeks ago. 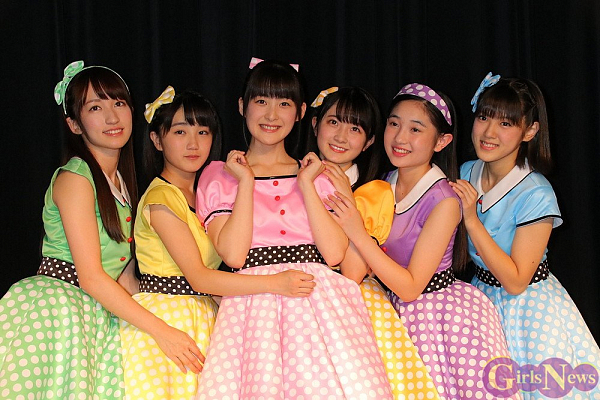 Momochi tsukkomis with an 'Oi Oi'. Funaki: 'She was like Country Girls' teacher. She even told me off when I once got bad marks on a school test. She told me that I had to balance being an idol with studies. So until Momochi-senpai graduates, I'd like to get good marks! Yanamin: 'It was like a bolt out of the blue. Tsugunaga-san was like a being from above the heavens at first, and I'm really happy that we're so close now. Momochi-senpai is like the incarnation of cuteness. I'd like to absorb Tsugunaga-san's stance that an idol has to be cute.